Paul Russell Swan, aged 82, passed away Tuesday night, October 30 at UT Hospital, Knoxville, Tennessee. Paul, also known as PR, loved his God, country and honored both. He is preceded in death by parents, Paul and Mildred Swan and sister, Barbara Swan Guinn. He is survived by Bill (Lillian) Swan and their three children of Concord, North Carolina, his wife, Helen Odom Swan, Cynthia Ann Taylor (Craig), Clarence “Buddy” Guy Odom III (Kathie), Christopher Dale Odom (Kathy), and a crew of grandchildren and their families who proudly called him Big Daddy. 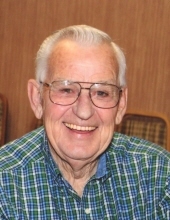 PR was a charter member of First Farragut United Methodist Church (FFUMC) of Farragut, Tennessee, where he was a member of the Connexion Class. He grew up in Farragut. He never left the area where he graduated Farragut High in 1954 and has stayed close to his classmates all these years. He was 27 years retired military from the Army Reserve, a member of the 278th Retirees, a 32nd degree Mason at Choto Lodge #253 Concord, a member of both Scottish Rite and Shriners, a committee member of the Pleasant Forest Cemetery, a volunteer at Remote Area Medical (RAM) for 14 years and a woodcarver, which he loved. PR was remembered for many things. He was a wonderful husband, father and grandfather… but most of all his kind, loving heart. Receiving of Friends will take place at FFUMC at 10am on Saturday, November 3, followed by funeral at 11am with Don Thomas officiating. Graveside ceremony takes place at Greenwood Cemetery, 3500 Old Tazewell Pike in Fountain City at 2pm. Family requests in lieu of flowers, memorial gifts may be made to First Farragut United Methodist Church, 12733 Kingston Pike, Knoxville, TN 37934 or Young Life of Upper East Tennessee, PO Box 4716, Johnson City, TN 37602. Click Funeral Home of Farragut is in charge of arrangements. To send flowers or a remembrance gift to the family of Paul Russell Swan, please visit our Tribute Store. "Email Address" would like to share the life celebration of Paul Russell Swan. Click on the "link" to go to share a favorite memory or leave a condolence message for the family.